Time has gone by so fast and I can’t believe this is my last post for Cardabilities. It has been a pleasure to work with such amazing and talented designers. Karan’s sketches as you all know are so nice to work with and it has been a great honor to be part of her team. Thank you teammates and thank you Karan for having me. The new sketch is up today and I know you’ll be inspired by it! Classic Edges Two, Classic Decorative Inserts Three. Distress Inks in Spun Sugar and Embossing. 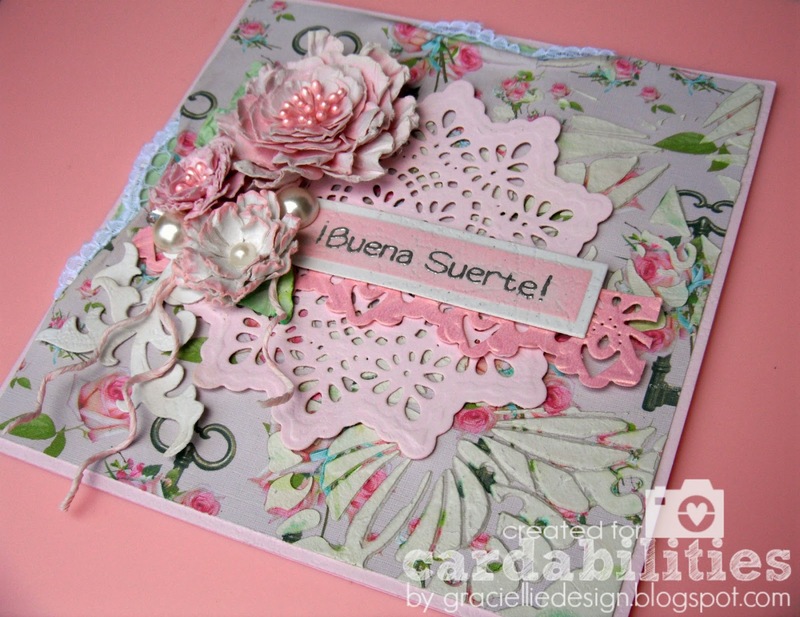 Cardstocks: Leather textured in soft pink, off white and light green. Linen in white. Metallic in pink. 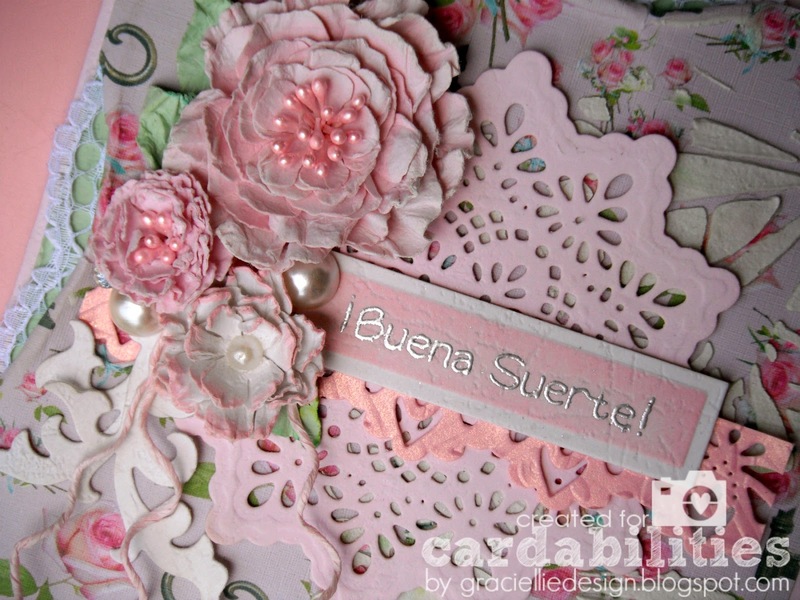 This is a shabby chic card with lots of layers. The main patterned layer was wet and distressed letting show some lace on the background. Also I used some beautiful butterfly masks to stencil, using homemade paste. 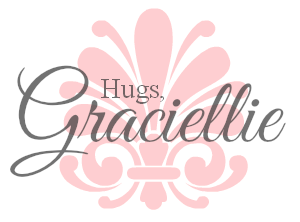 After that was done, I added the central layers and handmade flowers. The “Good Luck” Spanish sentiment was heat embossed in silver. 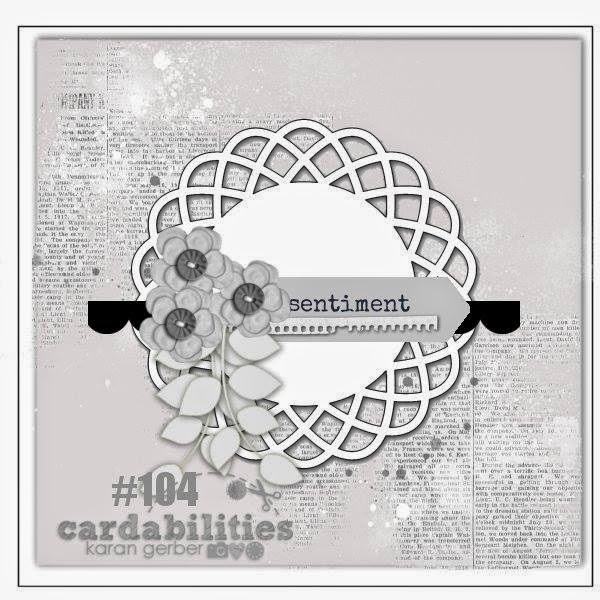 I hope you enjoyed seeing my card for today and that you feel inspired to join our challenge at Cardabilities. I send a big hug to my fabulous teammates. Know that I am very thankful for the great friends I’ve made and for the opportunity I was given. Thanks a bunch! 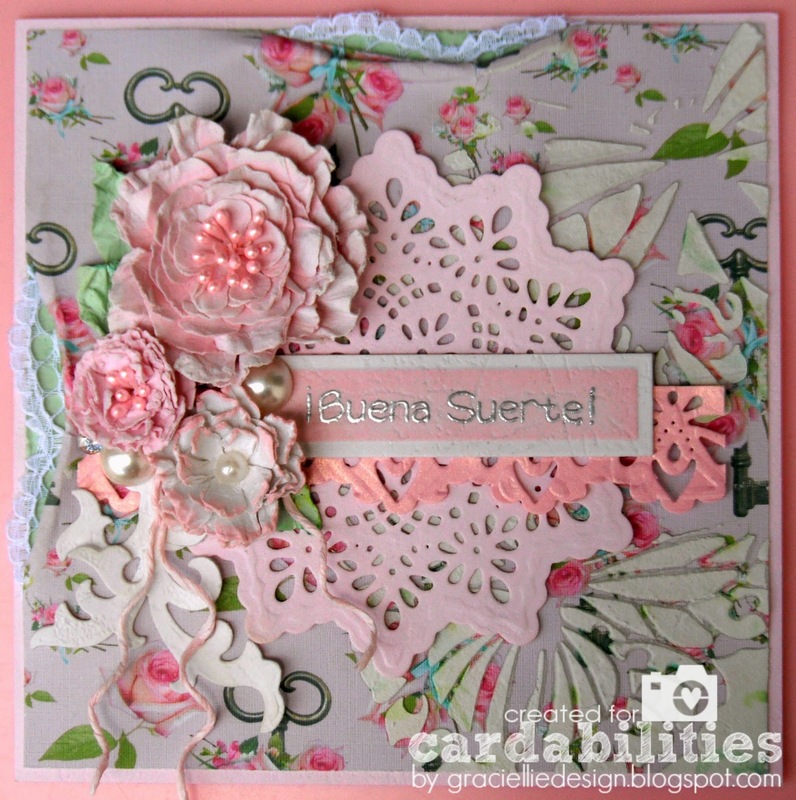 Oh wow Gracie this is just so pretty with a lovely hint of shabby chic. Just adore the flowers. Oh, so sweet card! Love these layers!!! Amazing!! This is so gorgeous… love all your work and will miss being on the team with you! Hope you have a wonderful weekend! !